There’s no denying that technology runs rampant in today’s day and age. 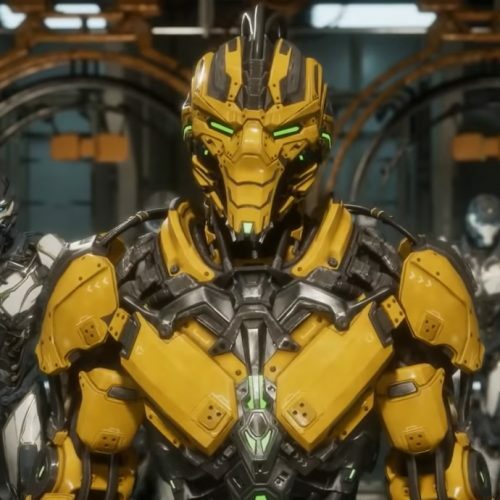 They connect us with friends and family across the world, it entertains us, and for some, it keeps us organized. A lot of people including myself can be dependent on the screens that we put in front of us, and that can spell trouble for some people. The new Apple iOS 12 added a new feature called “Screen Time,” which helps its users see what apps they spend most of their time on and helps them manage their usage. It also allows parents to manage the time their kids spend on mobile devices. It didn’t take long until kids found ways around the screen time app, but a company called P-Ink Ventures released an app called Goya-Move for both Android and iOS, which can help parents manage their children’s mobile devices in a different way. 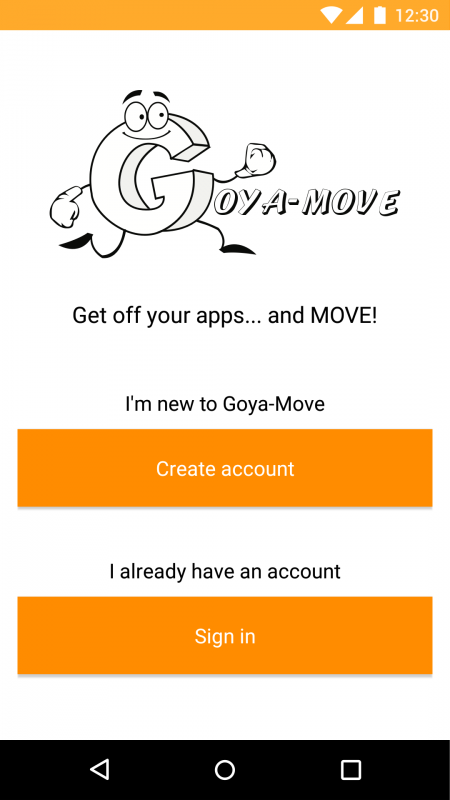 After downloading the Goya-Move app, setting it up was pretty easy. To create an account all you’ll need is an email address. 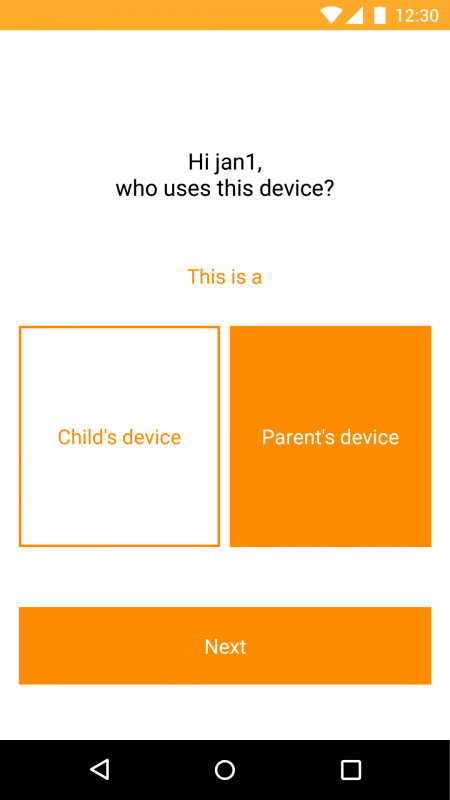 Once your account is set up, the Goya-Move will ask you if the device the app is installed on belongs to a parent or child. One of the great things about the Goya-Move app is that you can use the same account on multiple devices, and set those devices to “Child’s Device.” This would help the parent easily monitor and manage their child’s devices all from their own smartphone. The shining feature of the Goya-Move that separates it from other parental apps is that instead of just deactivating or limiting your child’s access to certain apps or content, you can take it literally a “step” further. The key feature that I like about the Goya-Move is that you can set a step goal for your child to get them moving and active. Setting the step goal will limit the use of their mobile device and they can only gain full access once they hit their goal. I rely on my mobile device on a daily basis, so I set up a step goal for myself to see just how effective it works. I didn’t set a huge step goal, I kept it simple and set the goal to 2000 steps. Even at just 2000 steps, I found it difficult to hit the goal as I was itching to use my phone, I was constantly checking to see how many steps I had completed. Of course, you would need to keep the phone on you at all times to count your steps, or you can also manually enter them in with a rough estimate on how many steps your child has taken. On the upside, It did keep me active, which can be a real benefit to children who spend most of their time sitting down playing video games. 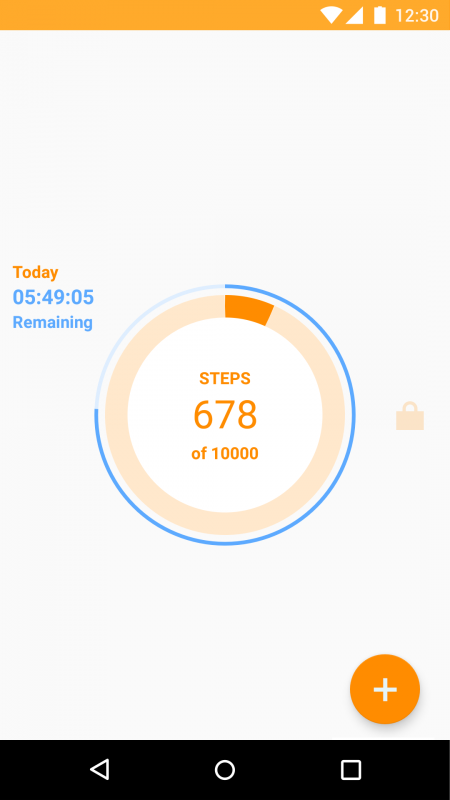 Aside from the step goal, the Goya-Move app does have a “Black Out Time” feature. Its feature is intended for the more important times when you want to take your child away from their mobile devices completely. 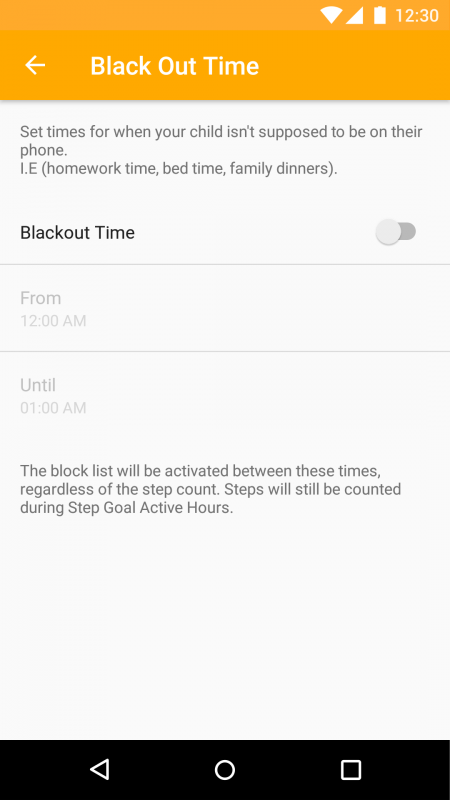 The black-out time feature is great because regardless of the number of steps you child takes, they still can’t access their device. This is great for those times where you’re child needs to do homework or focus on any family time. Android and iPhone devices are continuing to get bigger and pack new features that make us rely on them even more, which can result in more time that we spend in front of our screens. Recently the American Heart Association released a statement saying that kids spend an average of 7 hours a day in front of phones and games which is a big concern for any parent. The Goya-Move app really helps you as a parent monitor your child’s activity on mobile devices, but also encourages them to get up to walk around, play outside, and even spend time with their actual parents. Technology and mobile devices will always be on our side, but we don’t really need to always rely on them. The Goya-Move app is a clear reminder that sometimes it’s a good idea to put our devices down and step away.